This includes any task in your team you've made from newest to oldest. View all tasks you've recently opened. 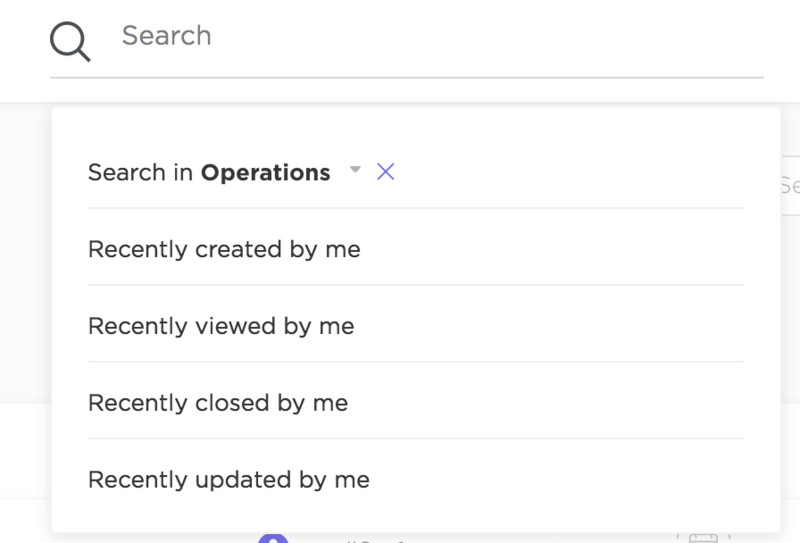 View all tasks you've recently marked "Closed". Once you begin to search, you will have the option to select a specific Space by clicking the dropdown at the top left. We love to hear your suggestions for new features inside ClickUp! Be sure to leave what you'd like to see on our feedback board.